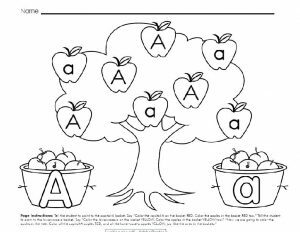 These worksheets (64 pages) allow your child to trace and color the Upper case and Lower case letters. Practise a few without tracing. 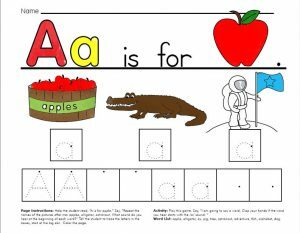 Learn to recognise the sounds that each individual letter makes. 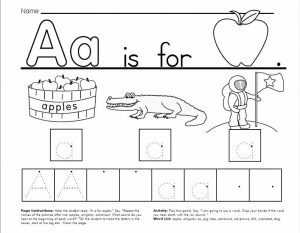 Page Instructions: Help the student read, “A is for apple.” Say, ”Repeat the names of the pictures after me: apples, alligator, astronaut. What sound do you hear at the beginning of each word?” Tell the student to trace the letters in the boxes, start at the big dot. Color the page. 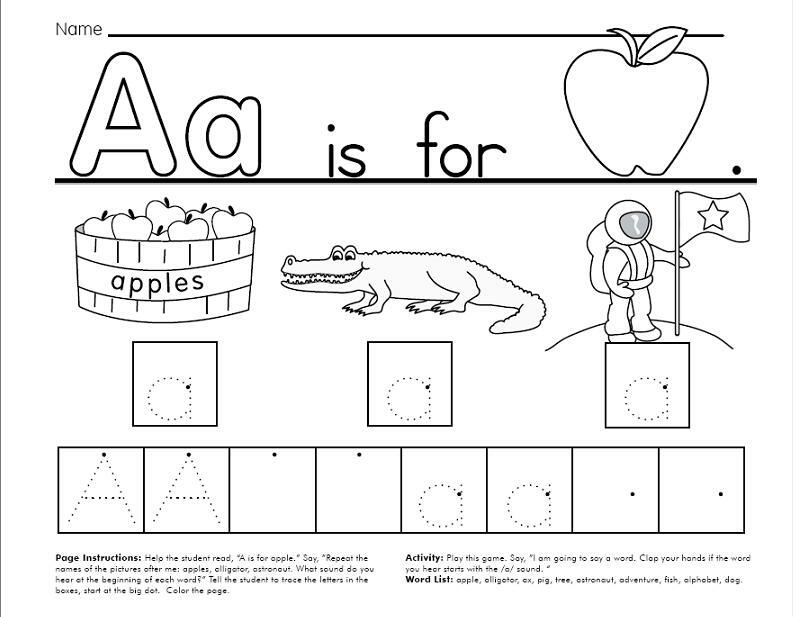 Word List: apple, alligator, ax, pig, tree, astronaut, adventure, fish, alphabet, dog. 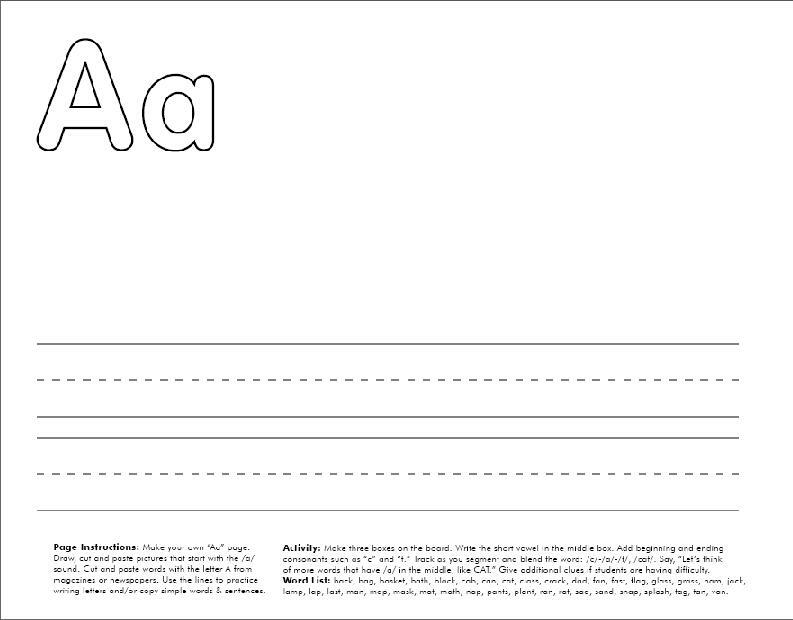 Ask your child to say the letter name and then the letter sound as your child traces it. 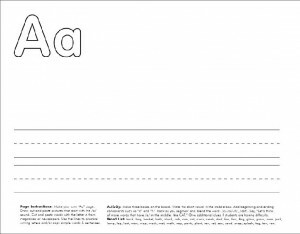 Help your child as needed and praise your child at the completion of each worksheet. Set the number of pages your child will complete in a day or do the practice for fifteen minutes only. The idea is to end it when your child still wants to do more. Please encourage your child to write her/his name. This entry was posted in Ebooks, English Worksheets, Learn to Read and tagged coloring, letter names, letter sounds, reading, tracing by Rahmah Muslim Homeschool. Bookmark the permalink.